﻿ Fort Hope’s debut full-length arrives at a less-than-ideal time, but that might as well be this band’s mantra at this point. They first came to prominence during the beginning of Britrock’s decline with a far more polished, staccato take that felt even more out of place considering what would ultimately replace it. And yet, rather than go for the jugular and make their immediate mark, they chose to bide their time and release EP after EP, the progression and evolution between each being negligible at best. Maybe The Flood Flowers, Vol. 1 marks their turning point then, where Fort Hope manage to translate their ideas into something tighter and more effective with the benefit of a larger stage. Except that isn’t the case. The Flood Flowers, Vol. 1 would probably have been seen as Britrock padding back in 2014, let alone 2017, given how little it brings to the conversation. But even so, it’s not even so bad that some sort of catharsis can come from ripping it apart; it’s just a profoundly dull listen, mostly down to how Fort Hope’s lack of growth or innovation continues to be transferred here. Guitar lines remain taut and polished, with similarly shiny pianos, the occasional sharp electronic beat and a very slight theatrical sensibility to strengthen the veneer even further. That isn’t inherently a bad thing, but on a larger scale like this, it only magnifies the limitations in Fort Hope’s sound. There’s little body or robust quality to these tracks to flesh them out; Cardinale (Runaway Monday) may flirt with metal influences but does so in such a flat, flaccid manner, while tracks like Kaiser or the thudding tedium of The Ward fail to break out of their repetitive holding pattern into something more vibrant. At least the tense, bluesy licks of Dios Falso make for a change of pace in the album’s definite highlight, and for as inert as it can feel, this is undeniably a well-crafted album in terms of composition and instrumental clarity alone. But honestly, this only makes The Flood Flowers‘ other substantial issue more noticeable, that being Jon Gaskin’s vocals. He’s similar to Kellin Quinn in a reliance of power and volume but with few ways to utilise it, and when the lines begin to blur between soft, waifish introspection, anthemic belting and brash aggression, it can really start to jar. For as maudlin and vanilla as tracks like Kaiser and Minor White are, they at least manage to stick on a workable level; compare that to The People Of The Lake which spasms from gentle patter to syllabic screams that convulse out of nowhere, and that might show something of a range, but also a lack of control in Gaskin’s voice. Even when some of the writing has as much intrigue as it does here, it’s difficult to pay attention, or even make out what’s being said thanks to how unreliable and histrionic the performance can be. But ultimately, the biggest issue that Fort Hope have on this album seems to be a lack of ideas. The quality of their ongoing EPs has been diminishing with each subsequent one, and nothing has really changed here, with what feels like the dregs of a militant recording session cobbled together and called an album. Though not completely without merit, The Flood Flowers fails to embrace much of the promise that Fort Hope had in their earlier days, not to mention how dated and flat it sounds overall. The crossroads that Fort Hope find themselves at now is more perplexing than usual with no obvious directions signposted for them, but perhaps the bigger question is, whatever they find themselves doing, will anyone be around to see it? 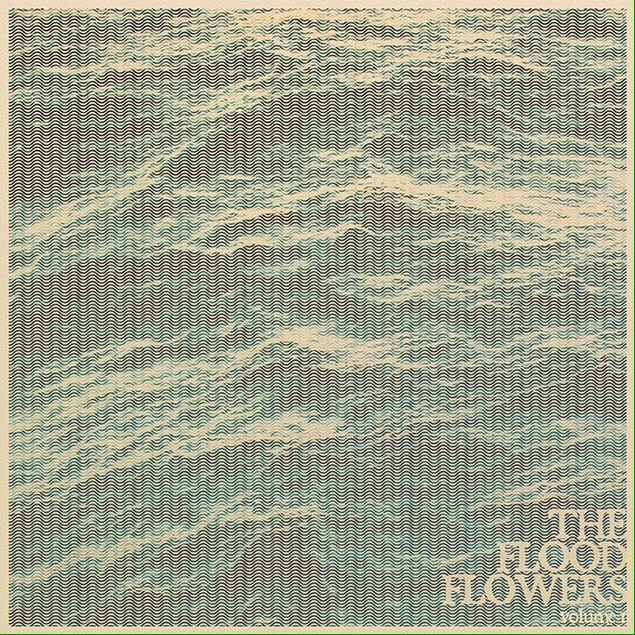 ‘The Flood Flowers, Vol. 1’ by Fort Hope is out now on Virgin EMI Records.